Here you will learn the basics of Eclipse. Everything you should know as a Java Beginner. Note**: To use eclipse you do not need to install Eclipse like normal software’s on windows application. Just extract the downloaded folder and start using it. When you click the eclipse.exe, workbench will be launched and a dialog box will be displayed which lets you select where the workspace (Directory where work will be stored) should be located (New or Existing One). If no workspace exists at given location then new workspace will be created, Eclipse will create .metadata folder @ give location which will be used to save the configuration related to this workspace & which can be used be in further development. 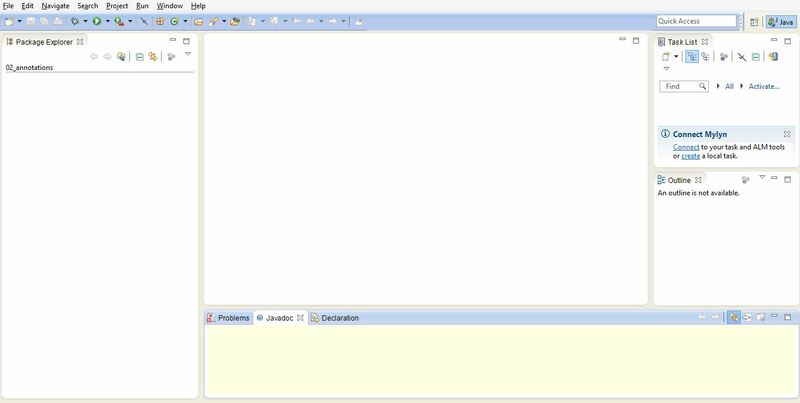 After the workspace location is provide, a workbench window will get displayed. Workbench window is the combination of different perspectives. This is the first screen you will encounter when you start the eclipse. It contains the different links for Tutorial/Sample etc. Close the window and then eclipse will redirect you another window as below. This is the screen from where you can start creating Java/J2EE/… projects. 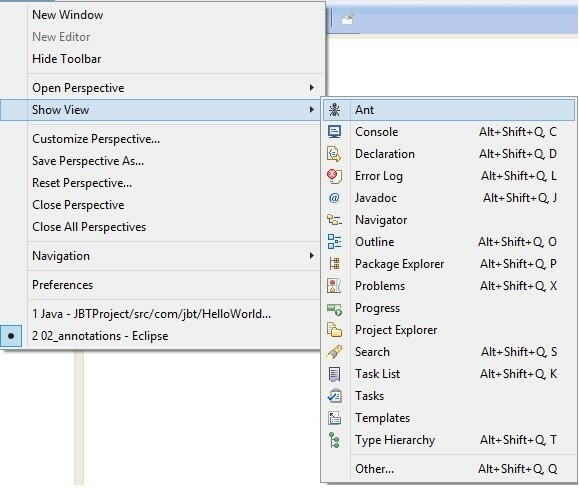 Eclipse IDE has several views. These views support editors and provide alternative presentations as well as ways to navigate the information in your Workbench. Project Explorer or Outline or Task List are different kind of views as shown in above pic. To open a view click Window > Show View. Note*: Different perspective has pre defined combination of views and Editors. Perspective is pre defined set of views in workbench window. More than one perspective can exist in a single workbench. To see a complete list of perspectives, select “Other…” from the drop-down menu. See below perspective window. 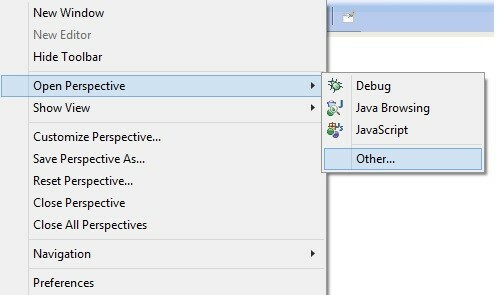 One of the most important part of Eclipse IDE which I use a lot. What if you have changed something in a file and you want to know what are the changes you have done and what if you want to go back to previous file version. This is the situation where Local History will help you. Every time a file is saved in workspace, Eclipse will update the local history of that file and logs the changes that have been made. History view needs to be opened in order to access the logs of changed file. To open History view click Window > >Show View>>Other. And select History option from Dialog box. Two compare two different versions select the revisions to compare, right click and then choose “Compare with Each Other” menu as shown below. What if you want to go back to previous version? Select the revision you want to go back to, right click and then select “Get Contents” menu. Choose to overwrite the existing file in popup window as shown below. This will rollback file to selected previous version. In some case eclipse might not start because of some problem. One of them is Java version. Every Eclipse package has some minimum level of Java version required. If eclipse doesn’t find the required version of Java, it will not start. First install the proper version of Java in system and try to start eclipse again. 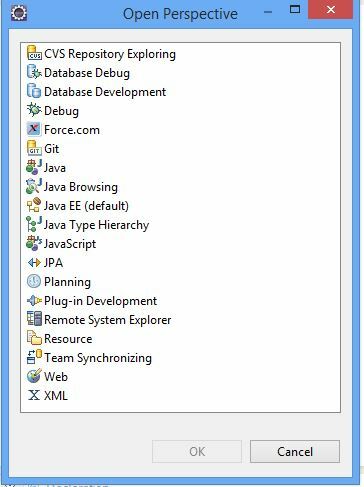 There are some cases when local system has more then one JDK version installed in that case if you want eclipse to point to specific java version then you need to change the configuration file of Eclipse. 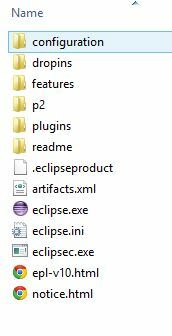 Go to the Eclipse folder and search for the file “eclipse.ini“. Open it and search for the configuration “-vmargs“, provided the location of appropriate JDK installation folder location below this configuration.